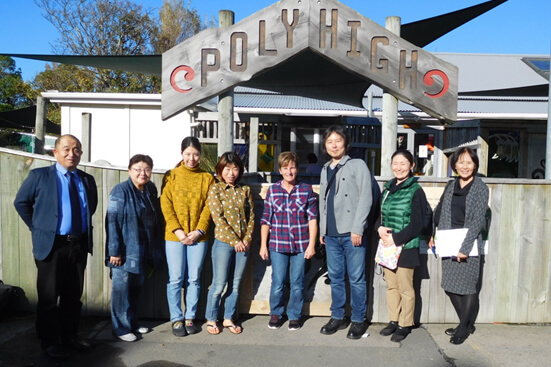 Four visitors from Japan with an interpreter came to have a look at Polyhigh on Tuesday 1st May. The group included a kindergarten teacher, a psychologist and university professors in Japan. Thank you to those who attended the AGM and Fish ‘n’ Chip evening this month. We appreciate the support. The Tui room has had a busy time exploring ways to incorporate Enviroschools into both our programme planning as well as whole centre philosophy and as this is an ongoing journey, we look forward to keeping you up to date via Educa and our planning boards in the centre. 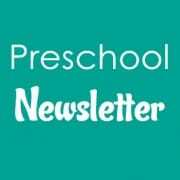 Thank you to all whānau who completed the parent and transition to school surveys. Your feedback is greatly appreciated and valued. It is hard to believe we are nearly half way through the year. Thank you for all your support during my accident, being off for nearly three months there was many new faces to get to know, and it is great to be back in the Centre. 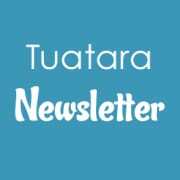 Recently we farewelled Fearne Crane and Ardy Buxton who have moved to the Tuatara group. We look forward to visiting you when we have other children visiting in transition. It will also be Brook’s transition in two weeks. Kia Ora whanau, what an exciting start to 2017! Enviroschools,a focus on making Polyhigh more sustainable and a fantastic new outdoor space. We enjoyeda brief summer and we wish all our whānau a safe and happy Easter. 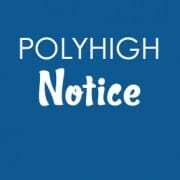 Polyhigh will be closed for the following days:Good Friday 14th, Easter Monday 17th and Tuesday 18th forTeacher Only Day. Have a lovely Easter! >Medication: If your child is taking medication please inform a teacher who will complete an administration form. Medication includes all prescriptions, antibiotics, creams, and inhalers. Please ensure you give the medication to a teacher and do not leave it in your child’s bag. Thank you to all who completed the behaviour strategy forms. The Tui teachers really appreciate your input and will go over the information at the next meeting. We look forward to developing some collaborative positive strategies for our tamariki. We would like to warmly welcome Davy Karon and Archer Townsend who transitioned into the Tui Group in February. Welcome to Anne Osborne and Eli Rasch who have recently transitioned and are settling in well. Sa will be staying in the Tui room in the capacity of a qualified/registered teacher. Leonte’ has been promoted into the Assistant Supervisor position and we wish her every success in her new position Melissa will be beginning her Graduate Diploma in Teaching (ECE) next month. Melissa will be studying extramurally through New Zealand Tertiary College Nat is now provisionally registered and will be completing her registration over the next two years. Polyhigh hosted the first Enviroschools cluster meeting, which will took place at Polyhigh on Monday 27th February. 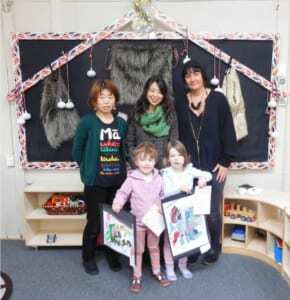 This provided an opportunity to meet with teachers from five other ECE centres to discuss and exchange ideas and practices related to sustainability and the environment within our centre setting. The meeting and ongoing programme will assist the teachers with the implementation and incorporation of sustainable practices into our daily routines. 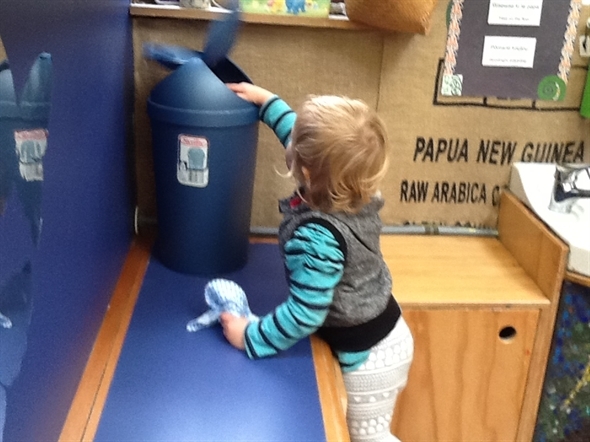 We have noticed such a positive change in play interactions since we developed our outdoor environment. The children have been enjoying the new climbing frames and have been busy creating in the carpentry area. A project we will be working on in collaboration with Mackenzie’s Dad Callum is making a Go Cart! Many children are very excited about this and we look forward to visiting Callum in his workshop. We really appreciate the whānau support. Thank you to Andrea Jewel (Otto and Thea’s Mum) who organised this absolutely amazing Pledge Me campaign to raise funds for our future sustainability projects. We really appreciate all the effort you put into such a thoughtful and successful fundraising project. We reached the target within about 3 days of it being up! Also thank you to all whānau who bought tickets. We really appreciate the support. 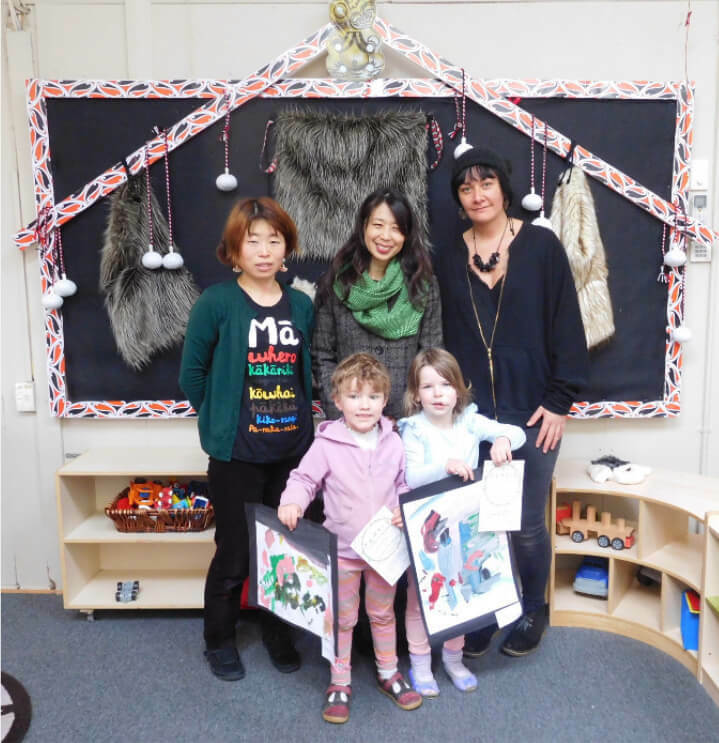 Kia ora to Tawhiri’s whānau for providing us with another Rewana Bread Bug. This really has become a Polyhigh ritual and we are thankful that we can weekly make bread with the children. Thanks Jo! If anyone would like to take a portion of the bug to make Rewana Bread at home, please ask a teacher in the Tui room. Thank you to Olivia and Ben’s whānau for kindly bringing in some swan plants for our very hungry caterpillars. The Monarch Butterfly life cycle has been a great focus for many children over the summer months, which has been highly beneficial to our programme planning. Lastly we would like to say farewell to Grace who will soon be leaving Polyhigh to embark on her next adventure at Primary School. We wish you all the best Grace. You will be greatly missed by all your teachers and friend. I have compiled a few resources on how to support children after the earthquakes. We have increased our earthquake drills and the children are aware of what to do to keep safe during an earthquake. Sadly we said goodbye to two of our staff members Len and Cecilia who have moved on, Len to start a new phase in her life and Cecilia to work in a Centre closer to home. They will be greatly missed and we are indebted to them for their commitment and enthusiasm over the years.